For one week I decided to put some of the digital health recommendations into practice. I vowed to (1) sit up straight when using the computer and (2) take a 30 minute walk. I found it rather refreshing to take my walk and it made me feel good about returning to work. Sitting up straight was a hard habit to break but when I did it I felt better. I think that scheduling these reminders on a calendar that you frequently refer to is a proactive means of ensuring balance and well-being. Doing this BEFORE your health suffers is definitely the way to go. Determine your focus. Why are you using this technology? What is your purpose? What do you hope to accomplish? 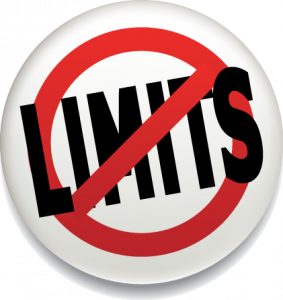 Set a limit. Set a time limit on how long you will spend on technology. Schedule breaks. If you know you will be using technology for longer than 1 hour, set up breaks so that you can safeguard your health. I plan to integrate these tips into my own life. The most important step we can take in terms of ensuring our digital safety is to be aware and vigilant. We must constantly be aware that we must make steps to ensure our digital safety. It is a proven fact that people learn more from doing than just reading or discussing. Some strategies we can take to help our students consistently keep digital safety in the forefront of their minds is to have our students do a project in which they create a slideshow or video listing steps that can be taken to ensure digital safety. Don’t click on emails that say your security has been compromised. Strong passwords with ten characters and mixed with letters and numbers. A DLC can ensure that citizens within the community are upholding the law and being cooperative while providing safe and ethical resources as well as opportunities for learning is to adopt a proper Acceptable Use Policy (AUP) and make it a requirement for all citizens to adopt. According to Common Sense Education, this AUP should include things such as acceptable uses of the network, internet safety, filtering and monitoring, copyright and ownership of work, network security and privacy, disciplinary action, digital citizenship and social media use to name a few. The best way to establish and maintain a flourishing DLC is to involve the stakeholders, then communicate the Digital Rights and Responsibilities being sure to clarify vocabulary, and then implement the Digital Rights and Responsibilities. 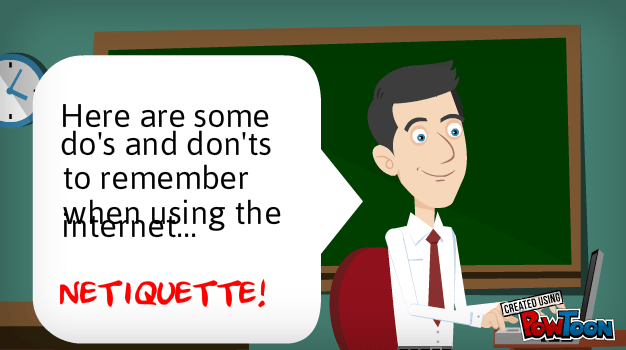 Here is a video I created summarizing the rules of netiquette. Click here to watch the video. Just another math educator going over the rules! If you watch t.v. or maybe even had the unfortunate situation to be subpoenaed to court you have heard these words “You’ve been served!” However, the context of this post is positive. 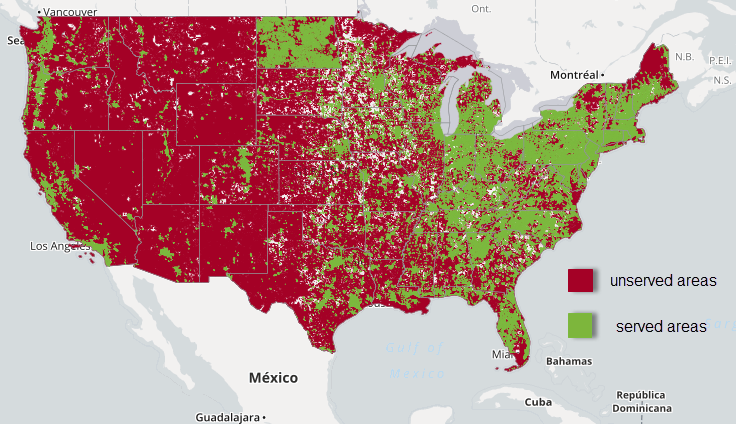 To have broadband served in your community in a blessing. Keep reading to see why. 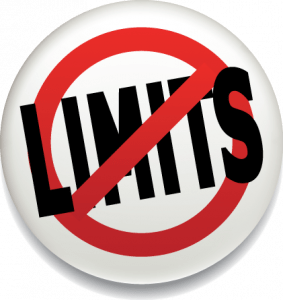 Initially when I thought of barriers that might impede students’ opportunities to access digital learning, the first thing that came to mind was economics. Maybe their family could not afford to get it. However, as I did the broadband test and looked up communities in which broadband was not available I see that it is deeper than that. According to the records there are 7.0 million unserved homes. So even if students in these areas were able to get scholarships or help to get broadband, if it is not available then they can’t access it because service it not available. To eliminate such barriers requires a two-fold effort. The government must help invest to make broadband service available everywhere and secondly, schools should offer assistance for families unable to pay for service at their homes. Just another math educator commenting on being served! No, I am not talking about hot dog links, although, now that you mention it I am hungry. 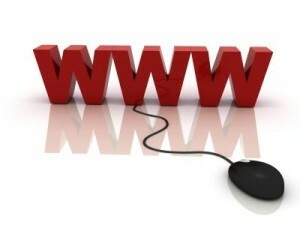 I am talking about website links. The three most useful tools or resources resulting from the web walkabout are: The checklist from the University of Maryland’s library website http://www.lib.umd.edu/binaries/content/assets/public/usereducation/evaluating-web-sites-checklist-form.pdf ; UC Berkley’s library article on guidelines http://www.lib.berkeley.edu/TeachingLib/Guides/Internet/Evaluate.html ; and Web of Trust https://www.mywot.com/. Students can be taught to safely collect tools and resources that can help them maximize their learning by creating a concise checklist like the one mentioned on the University of Maryland’s website to help them evaluate websites and making them aware of downloaded programs like Web of Trust that can protect them against suspicious websites. Making students aware of endings that are strictly controlled like .gov or .edu will help them to make wise choices about trusting a domains content. Students should also be taught about websites that seek to “trick” by using gov in its title but not in the ending string. As part of an orientation to an online course there should be a discussion about how to use the internet wisely along with plagiarism. I know that initially teachers tried to discourage students from using the internet, however, now teachers must focus on teaching students to use the internet wisely. Help students to understand that any person can create a website, but not all are trusted. I would call the consummate digital learning community (DLC) “The Study Hall Academy” mainly because a digital learning community is like the ultimate study hall . In this DLC students would be able to access all the necessary coursework required to get a high school diploma for free as well as preparation to take Advanced Placement exams. 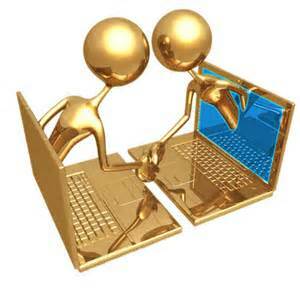 It would be complete with videos and tasks that give feedback and operated by a team of volunteers. This DLC would be free to all students and what would set it apart is the fact that it would issue out transcripts that would be comparable to a traditional school. The only fees associated would be exam fees or processing diplomas and transcripts. Potential citizens would need to verify that they are in fact a person by giving a mailing address and one source of government ID. They must also agree to terms and conditions as well as live by the honor code similar to what is found on this website https://www.edx.org/edx-terms-service. This is what I would call the ultimate digital learning community. It differs from a free online school in that parents have the freedom to choose the courses they want their child to take with no mandatory exams. With the emergence of digital learning communities there is now no limit to your education! The five digital learning communities (DLC’s) I choose to explore were Khan Academy, University of the People, Open Yale Course, Havard Open Courses for Free, and Utah State OpenCourseWare. The traits that made these five DLC’s more noticeable and impressive than the others was the fact that two of these learning communities were headed up by ivy-league universities, Yale and Havard. As I explored their sites Havard linked me to https://www.edx.org/ where students can take courses online from the BEST universities. WOW! As a homeschooling mother this is awesome! When my child is in high school and if she is ready, she can start taking some university courses. Utah State is another university allowing some of their courses to be available free of charge. The University of the People was impressive to me as well because it functions as a university granting degrees and everything! Although they are limited in what they offer, it is a good launching pad for those needing prerequisite skills before pursing another degree at a different college or university. Finally, there is Khan Academy, the DLC that I joined. The reason why this DLC is most intriguing is the fact that it has videos and activities that my students can take advantage of even now. It allows me to suggest videos to them or lessons to them as their coach and it allows me to see what they do and how much time they have spent on a particular subject. I love Khan Academy as a support class. The DLC’s I observed looked excellent, more advertising and informing school counselors about these options would definitely get the word out more and allowing a few credits from the DLC to count or allowing students to take a placement test to exempt them from courses that they took at a DLC up to a certain amount of credits would definitely make them more appealing. We all know the song “Head, shoulders, knees and toes. Knees, and toes… Eyes and ears, a mouth and a nose”. However, did you know that simple exercise is an important trait of an exemplary citizen within a digital learning community? Keep reading to find out why. The three most impressive character traits of an exemplary citizen within a digital learning community to me are Digital Health & Wellness, Digital Security and Digital Communication. At the top of the list is Digital Health & Wellness. It is defined by Dr. Mike Ribble as the “physical and psychological well-being in a digital technology world”. Dr. Ribble further mentions “eye safety, repetitive stress syndrome, and sound ergonomic practices are issues that need to be addressed in a new technological world”. This hits home for me because when I started teaching full time online I started to get migraines and did not understand why. It was then that my eye doctor told me that although my vision is near perfect there was a slight weakness in one eye and the constant looking at the computer screen magnified it when otherwise I would have been fine. Now I know that if I am going to spend hours at the computer I need to wear glasses, not to see better but to limit the strain on my eyes. 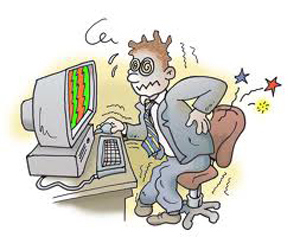 Medicine Online has an entire article dedicated to repetitive stress syndrome. Check it out by clicking here! One of the things mentioned in the article is to take”regular breaks during repetitive activities, and doing strengthening exercises” Head, shoulders, knees and toes anyone? The second is Digital Security defined by Dr. Ribble as “self-protection or using electronic precautions to guarantee safety”. 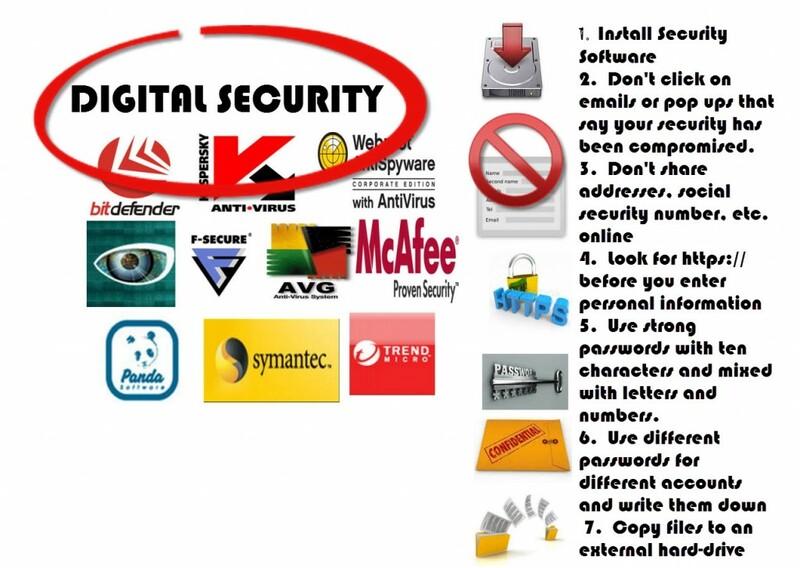 For example, password protecting sensitive documents. Frequently monitoring for identity theft also comes to mind. Finally, there is Digital Communication defined as “electronic exchange of information” (Dr. Ribble). This addresses issues like… should your really text someone to let them know their family member is dead? While some of these issues also fall under Digital Ettiquette, Digital Communication focuses on which technology should be used for which type of communication. While all nine elements are important, these three Digital Health & Wellness, Digital Security and Digital Communication stood out to me as the most impressive character traits of an exemplary citizen within a digital learning community. Just another math educator signing off! Or is that singing off “Head, shoulders, knees and toes. Knees, and toes… Eyes and ears, a mouth and a nose”.